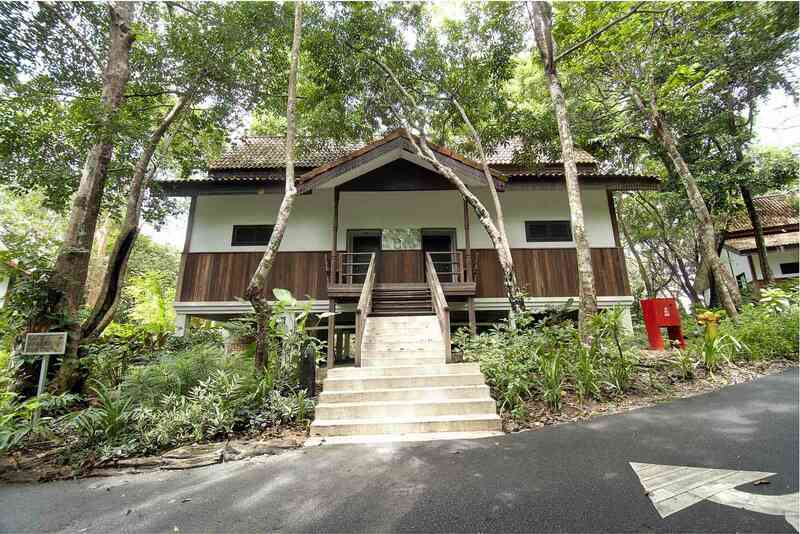 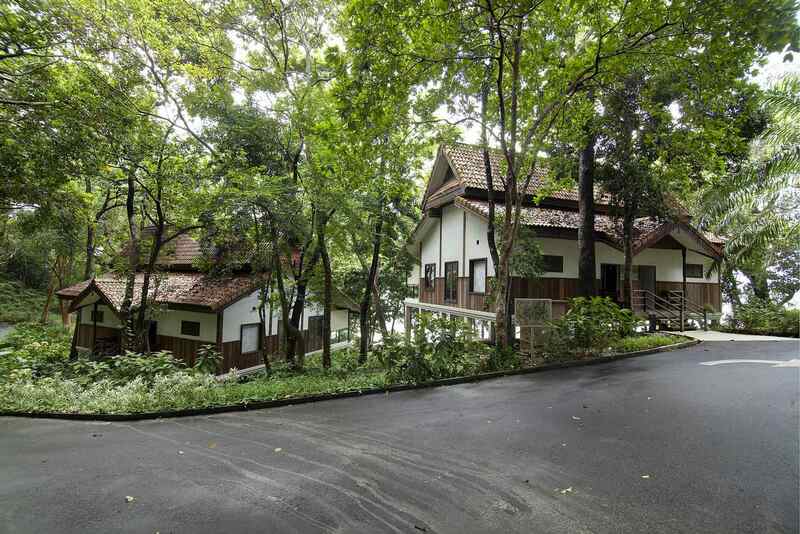 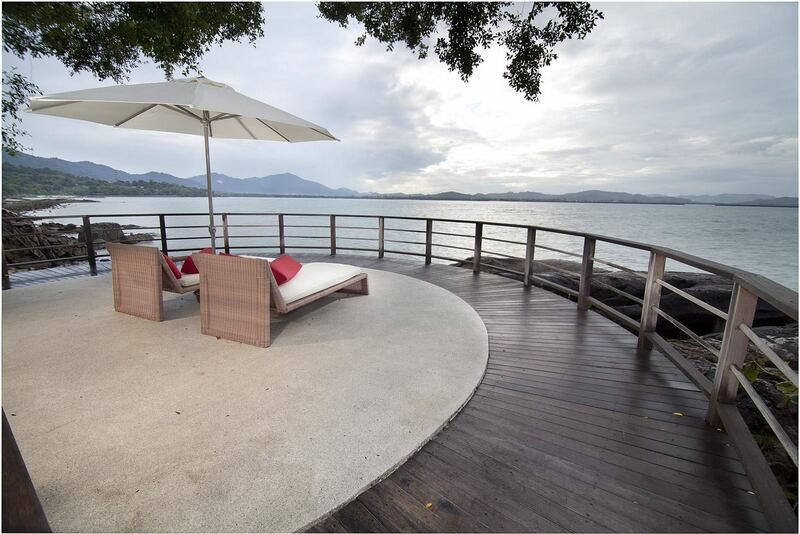 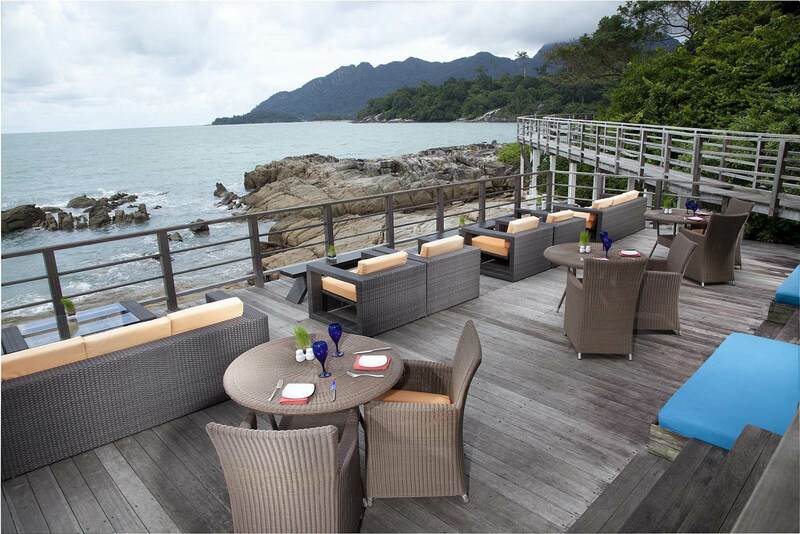 Nestled within 62 acres of rainforest teeming with mixed native hardwood trees in an area called Teluk Nibong on Malaysia’s resort island of Langkawi, the Tanjung Sanctuary Resort’s 16 villas occupy six acres of undulating land overlooking the Andaman Sea. 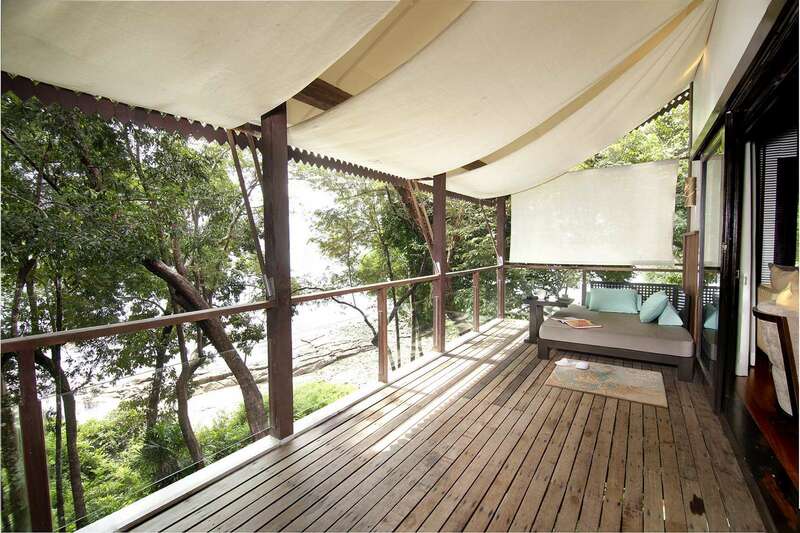 It enjoys its own stretch of private beach and five sandy coves, two of which have their own streams. 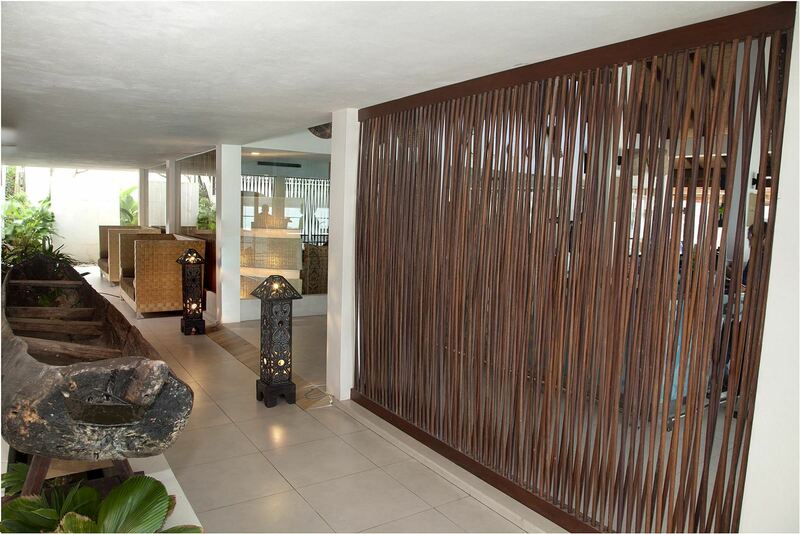 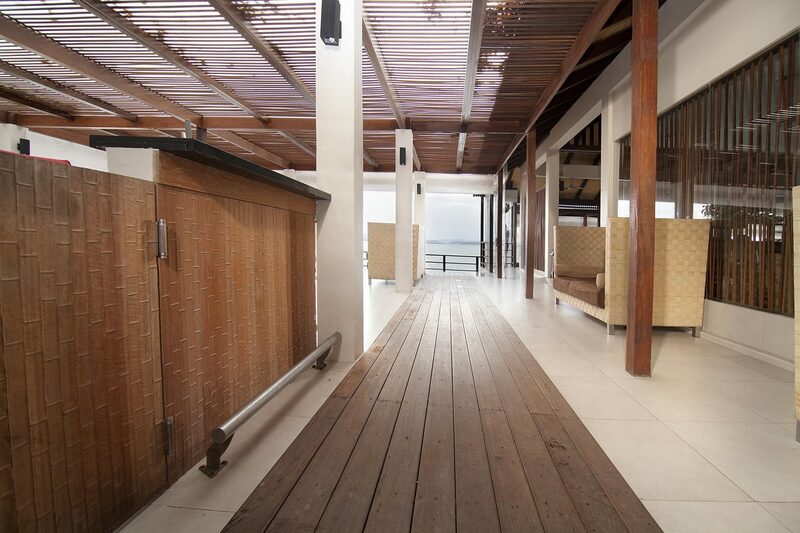 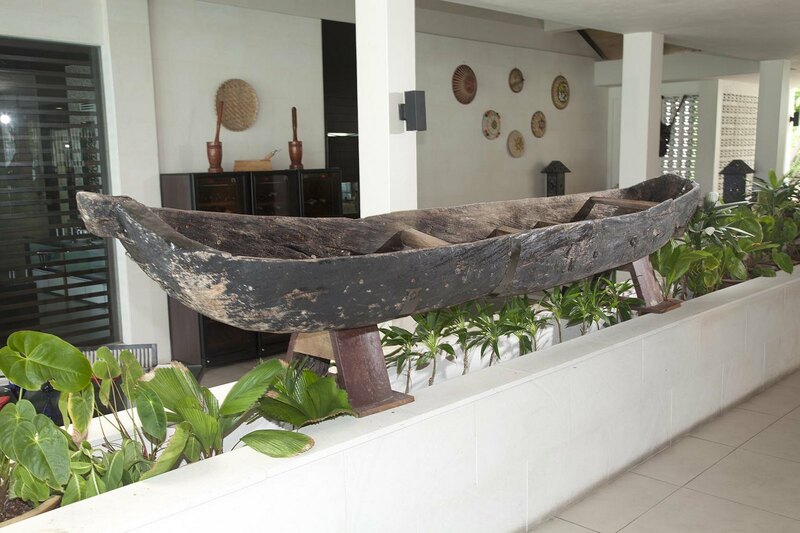 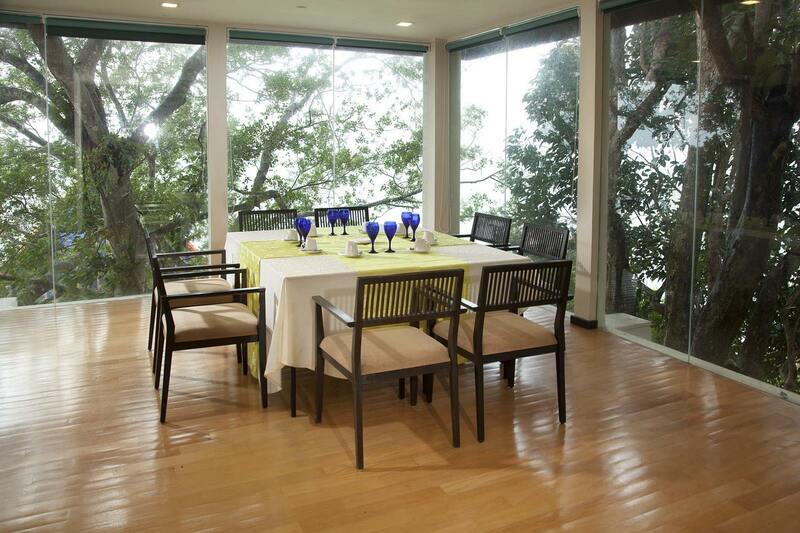 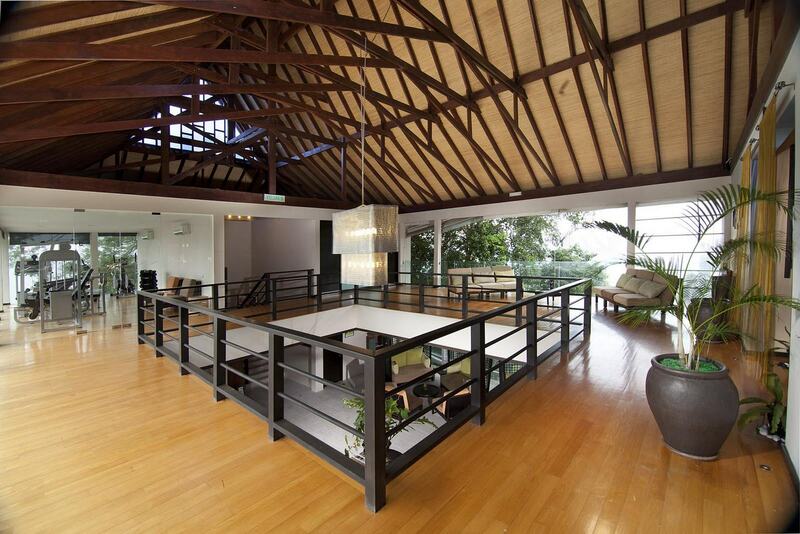 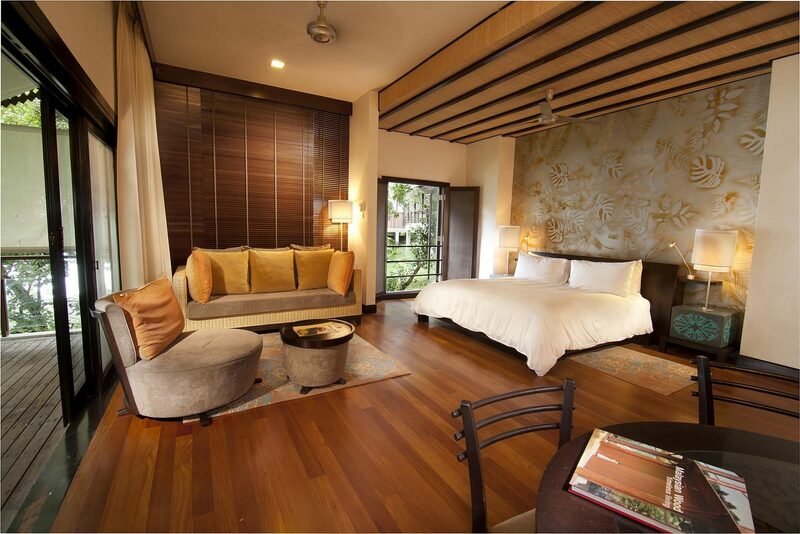 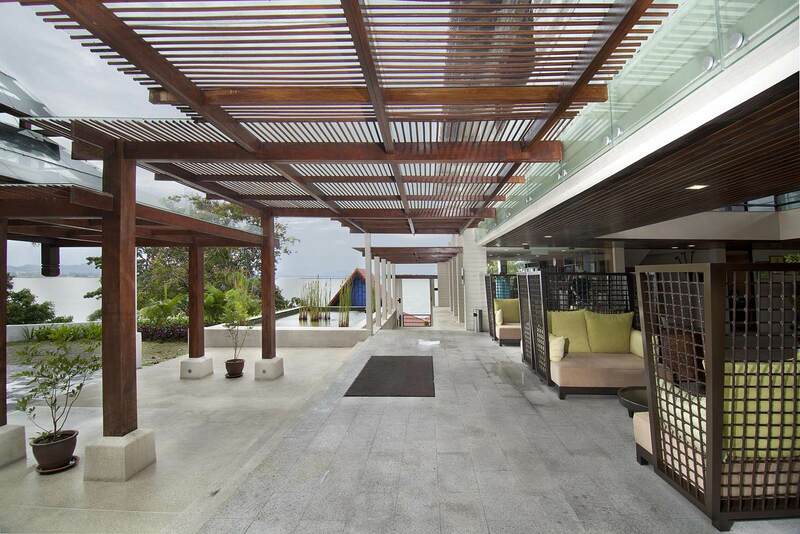 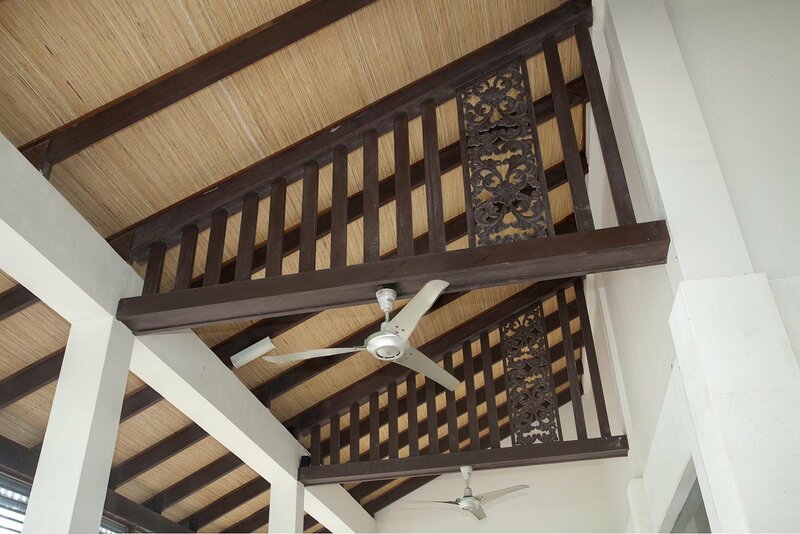 All the villas have polished balau floors, balau-decked balconies, and nyatoh blinds. 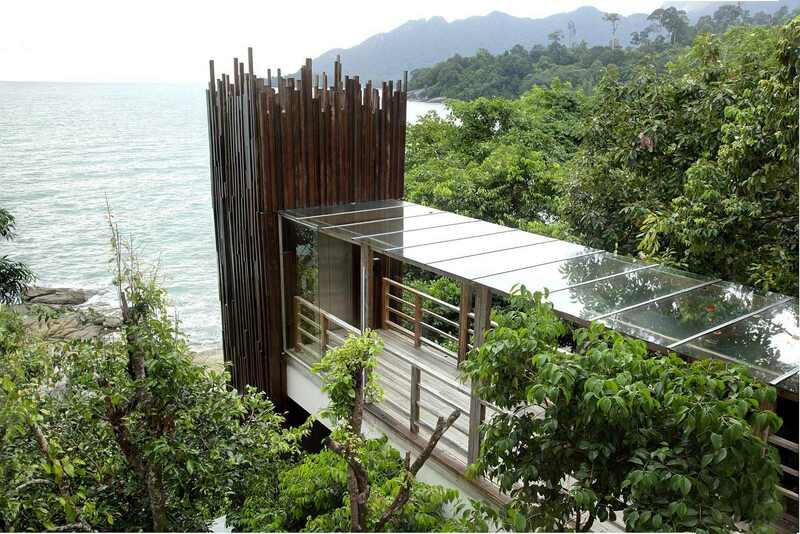 The exterior walls are half-clad in timber. 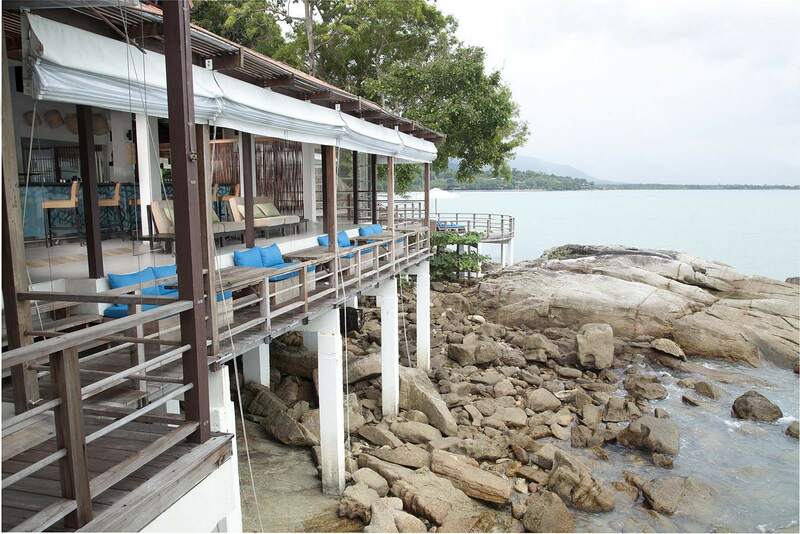 Nibong Bay, the hotel’s signature restaurant, is perched on a rocky outcrop just high enough to avoid the wildly splashing waves when the weather gets a bit rough. 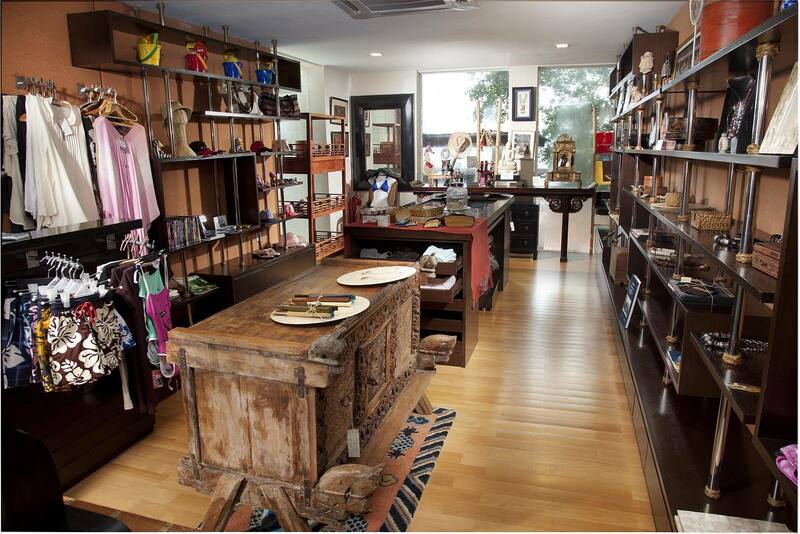 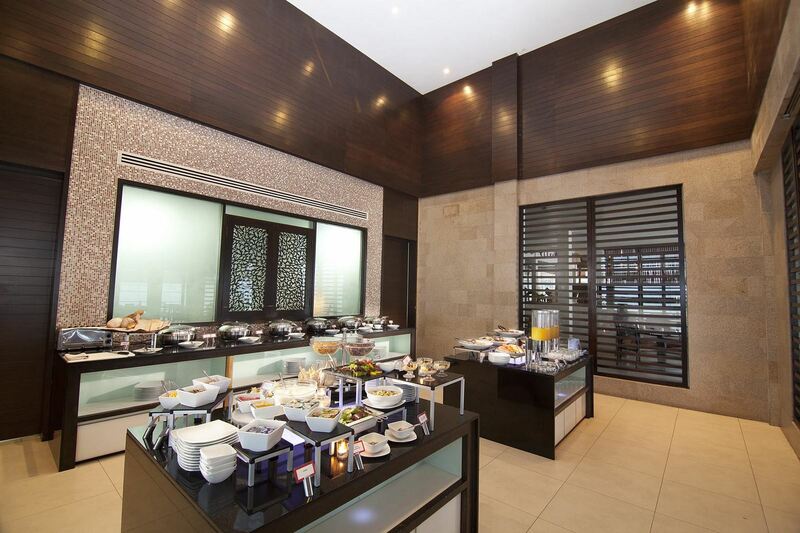 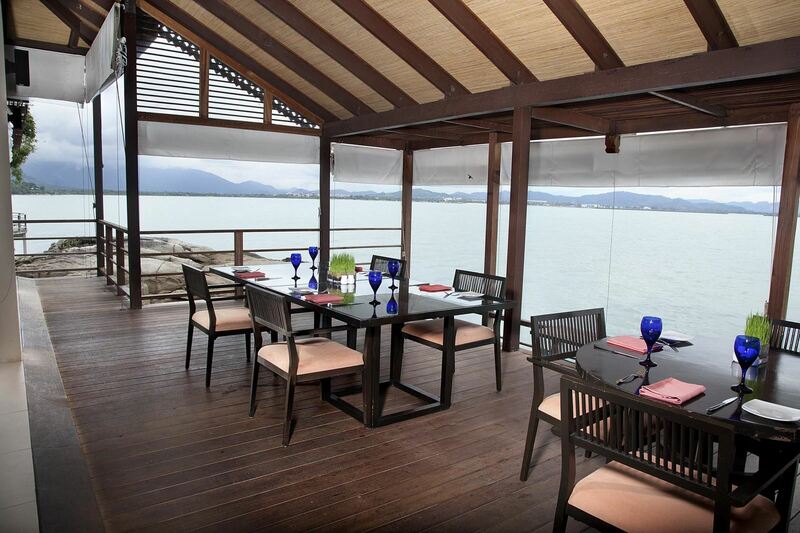 Chengal has been used for the restaurant’s flooring. 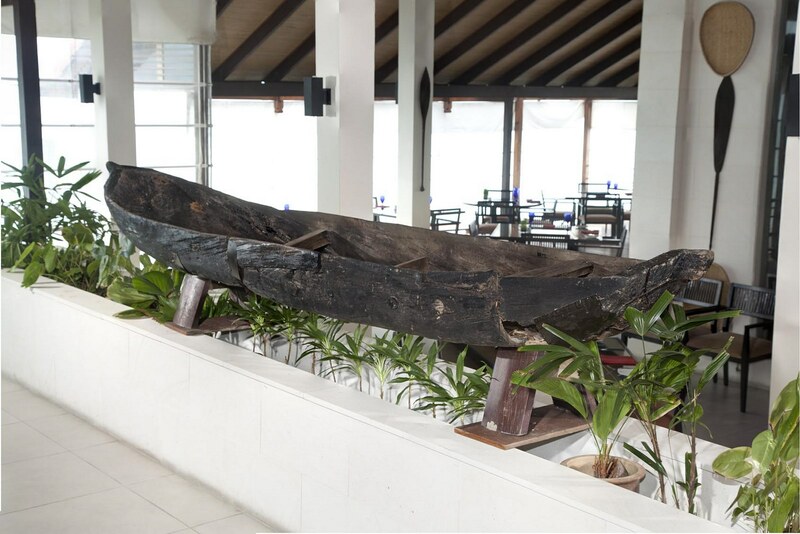 A lift was installed to connect the main lobby with the restaurant and bar area, that is located at the lower level, closer to the waters. 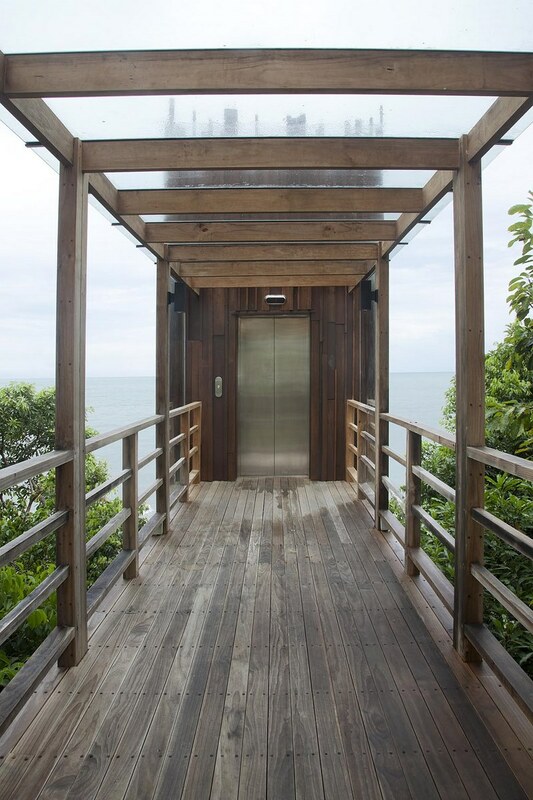 A short boardwalk leads to the lift at the upper level, and once one is transported to the level below, a meandering timber walkway leads to the seafront restaurant. 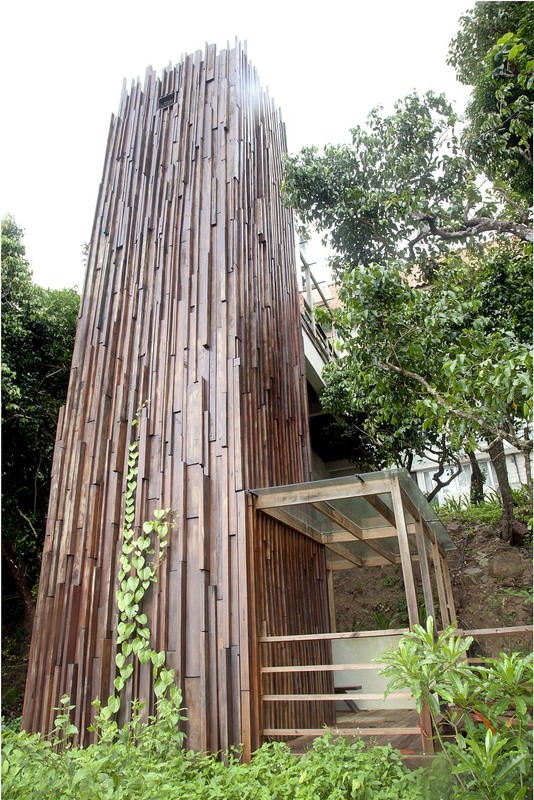 The lift shaft has been ingeniously clad with mixed species of Malaysian timbers of various widths and lengths, patterned vertically, with all the timber pieces placed parallel to each other. 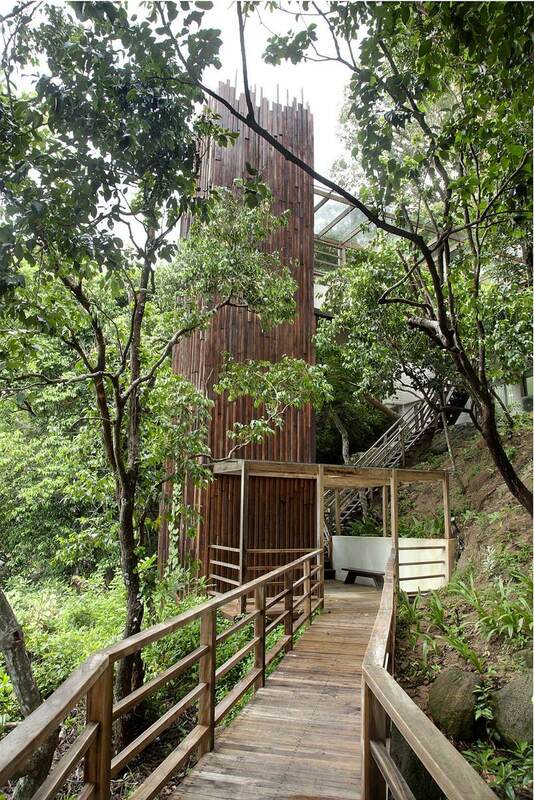 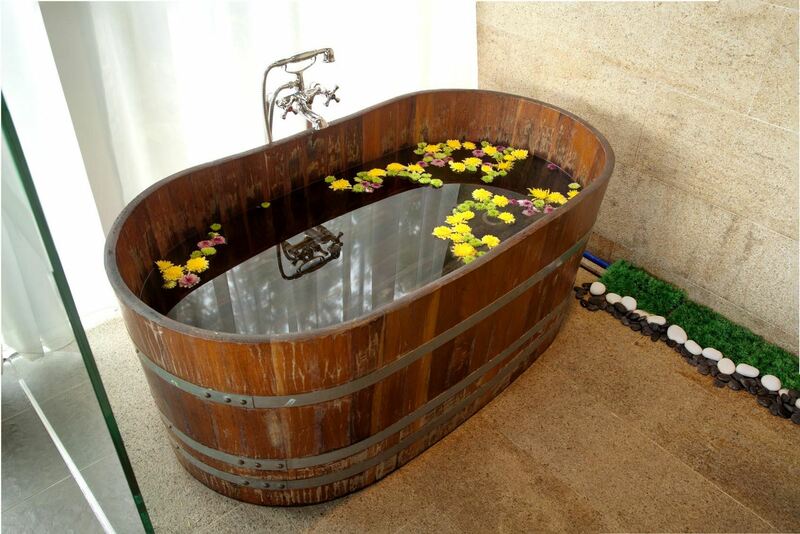 This simple idea yields a stunning sculptured piece of random composition that seems to rise from the sea level upwards and yet blends with the wooded and rocky surroundings. 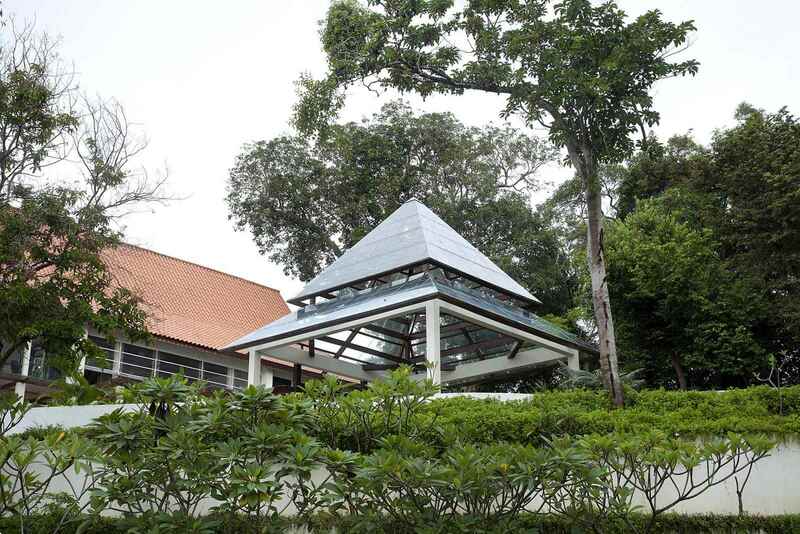 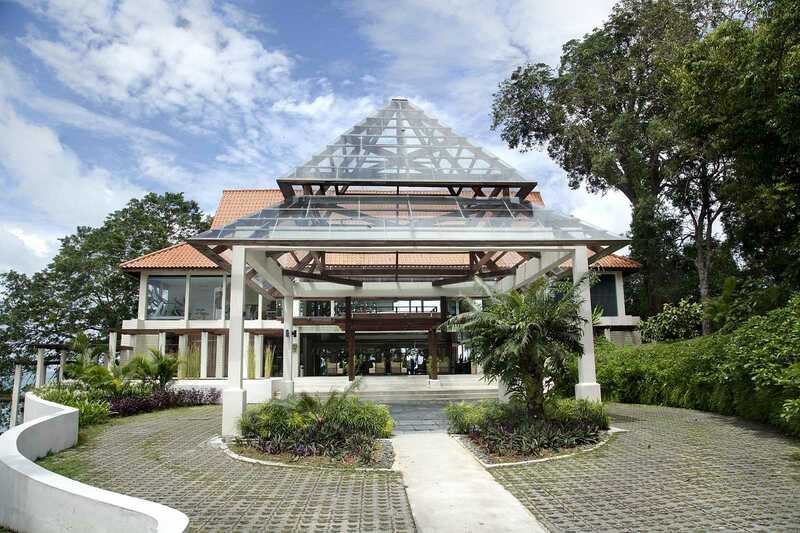 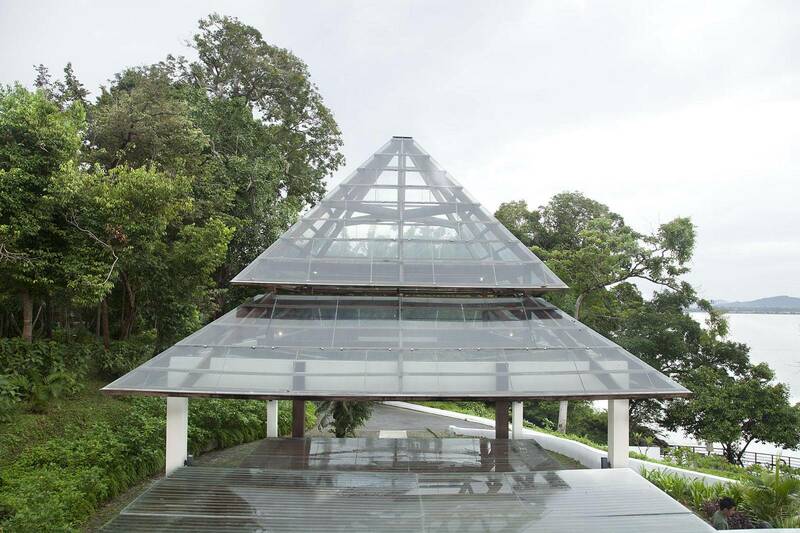 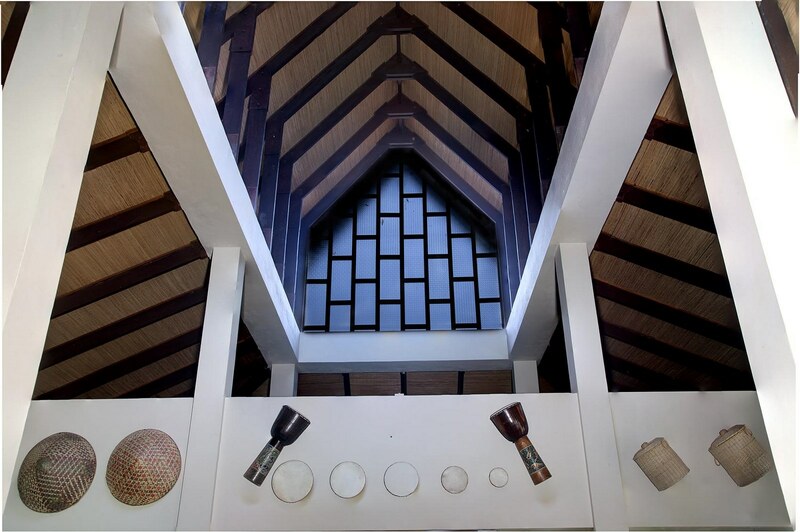 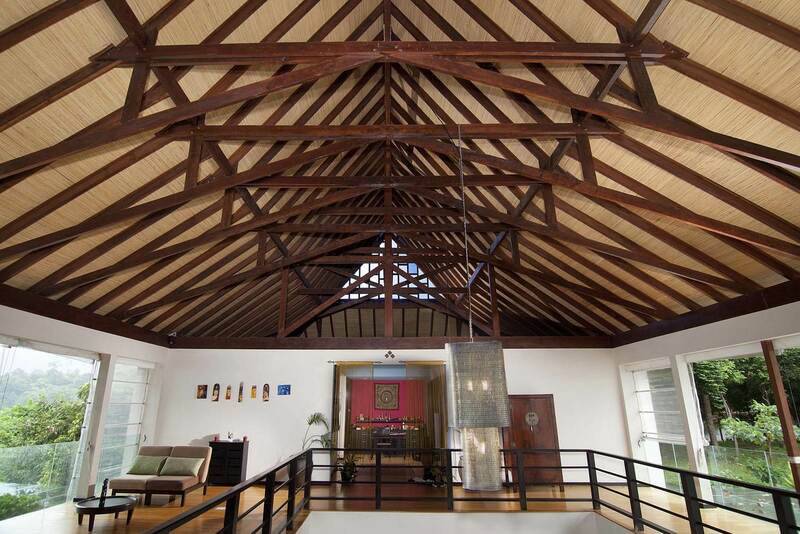 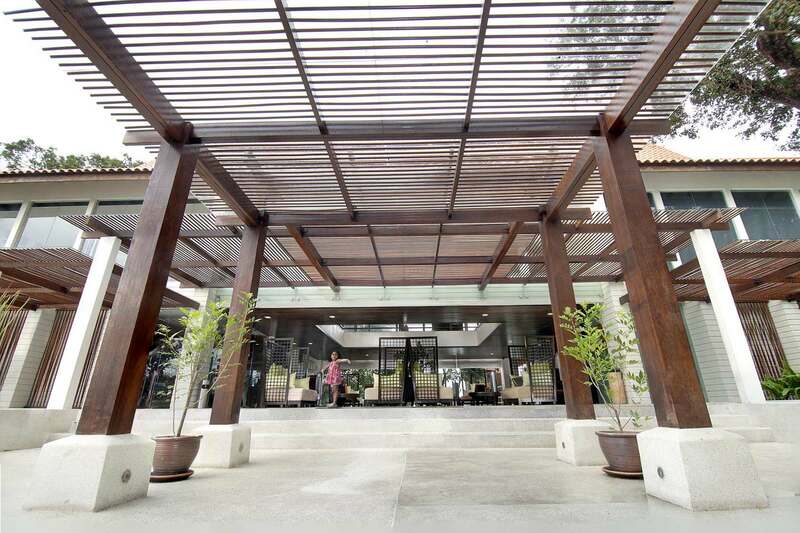 Tanjung Sanctuary’s porte-cochere features an ultra-modern two-tiered pyramidal tempered glass roof, reminiscent of the design of the Louvre in Paris. 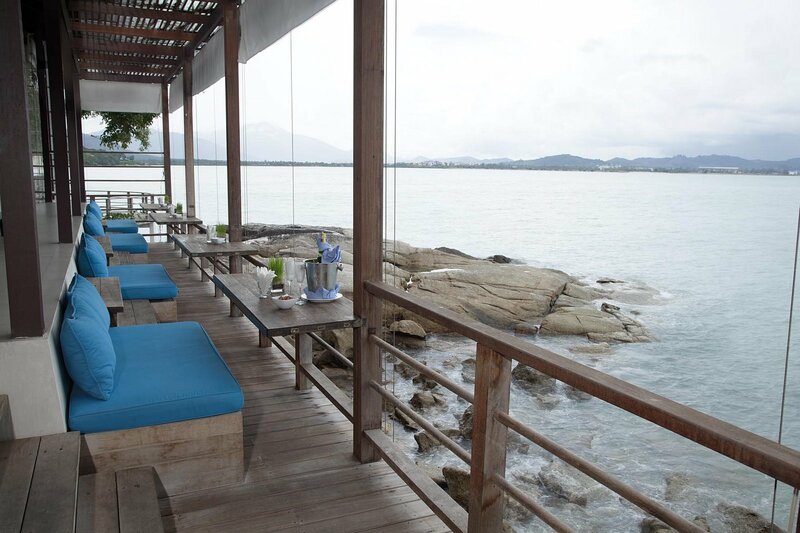 While it may not be an entrance to art treasures housed in the world-famous museum, it does lead one to a highly private sanctuary of exclusive villas, spa, its own quiet beach and restaurants serving delectable cuisine. 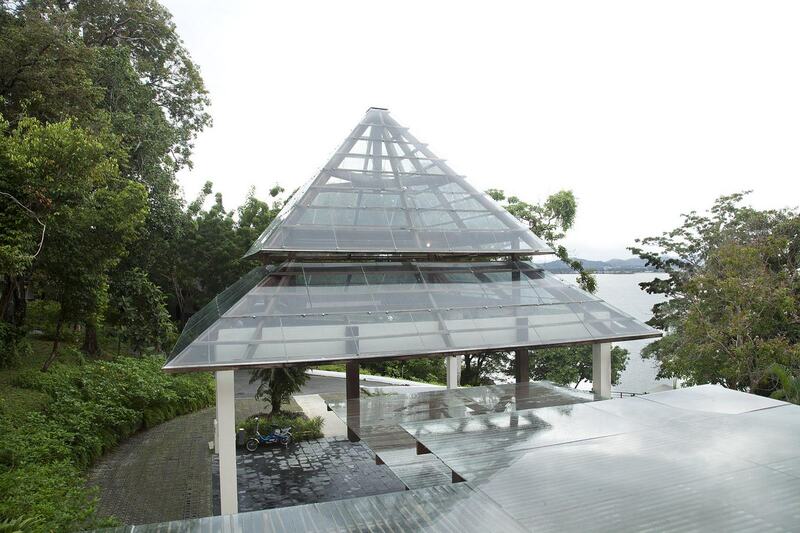 Unusually, the frameless tempered glass is supported by chengal trusses. 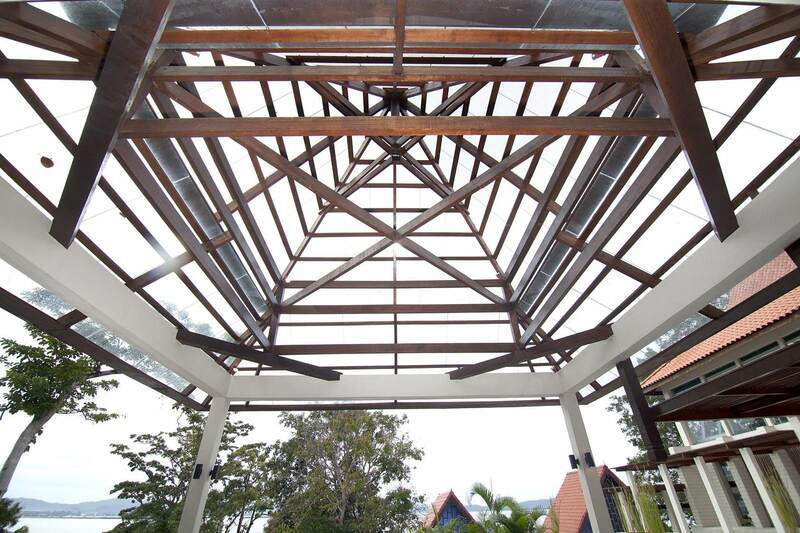 A simple reinforced concrete frame in turn supports the timber beams and trusses. 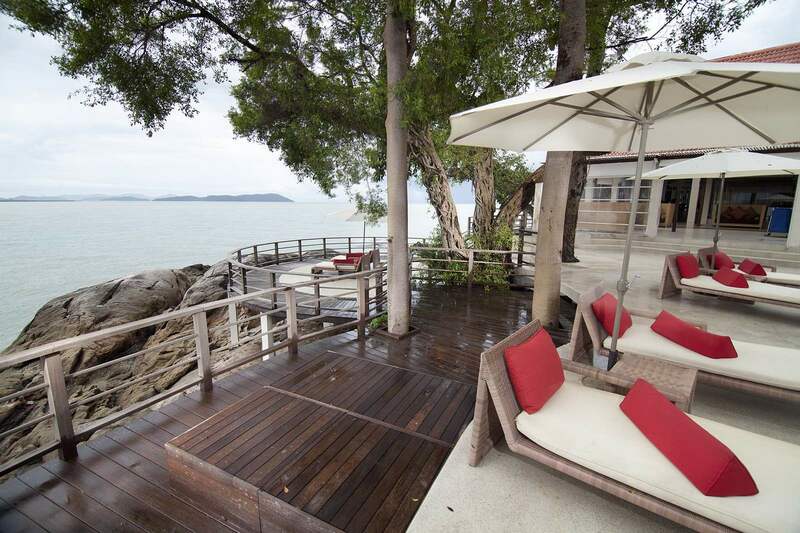 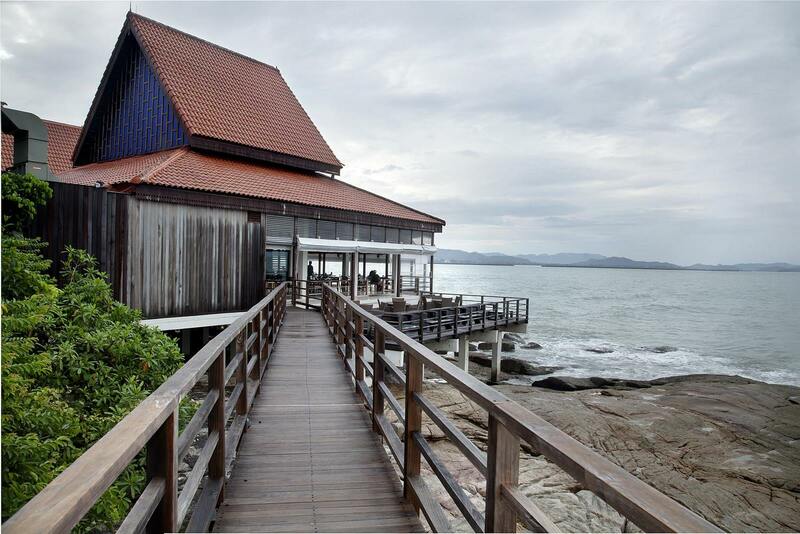 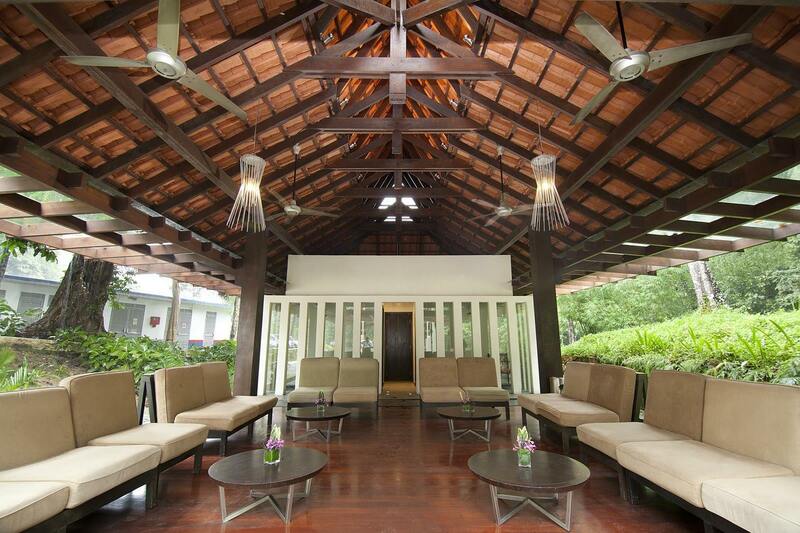 Editor’s Note: Tanjung Sanctuary Resort has now given way to re-development in the area.